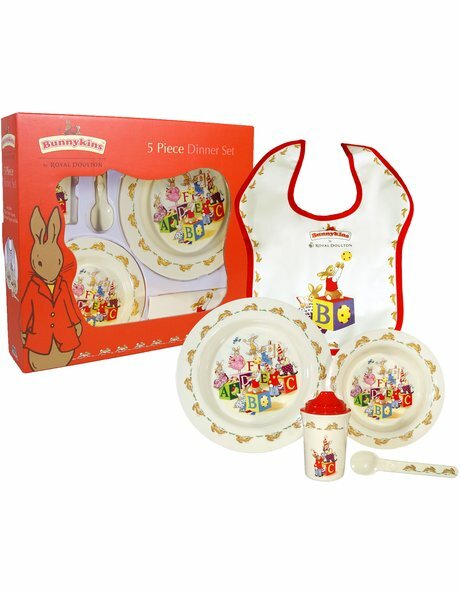 Every mealtime will be exciting for your little one with the BUNNYKINS ABC 5-piece Melamine Dinner Set. Decorated with the adorable BUNNYKINS ABC theme with red and gold touches, your bub will feel oh-so-special to have their very own mealtime collection. Made from an easy-to-clean and long-lasting melamine, this white five-piece is a sturdy set that won't break or experience colour fade when dropped on the floor or put in the dishwasher.